The Paintbrush homes are slopeside in Empire Pass, Deer Valley. People love Paintbrush Deer Valley homes because of the fantastic ski-in/ski-out access along the Silver Buck and Banner ski runs at Deer Valley Resort®, and the easy walk to the Talisker Tower Club. The Paintbrush homes on the uphill side of the street have elevators and lovely outdoor patios along the edge of the Banner ski run. These ski in ski out Deer Valley homes are coveted because of their timeless craftsman architecture, with sturdy wood beams and gorgeous natural stone. Quickly & easily gather all the info you need about Paintbrush Deer Valley homes. Our FREE Park City & Deer Valley Real Estate Concierge is at your service! Call toll free 1-800-485-0218 or use our Live Chat for instant answers to your resort real estate questions. 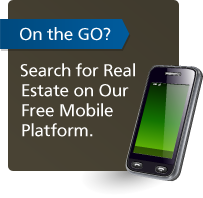 Quickly & easily gather all the info you need about Paintbrush homes for sale. Our FREE Park City & Deer Valley Real Estate Concierge is at your service! Call (435) 200-3060 or use our Live Chat for instant answers to your Deer Valley real estate questions.